This is a typical triangular prism. This shape is occasionally used for packaging. A famous confectionery product is seen below, in three distinctive packages. However, each of the packages is a variation on a development / net called a triangular prism. Another name for this type of shape is a pentahedron. Diagram 1 is the usual type of triangular prism development / net that holds this world famous chocolate product. A plain version of the development / net is drawn below. 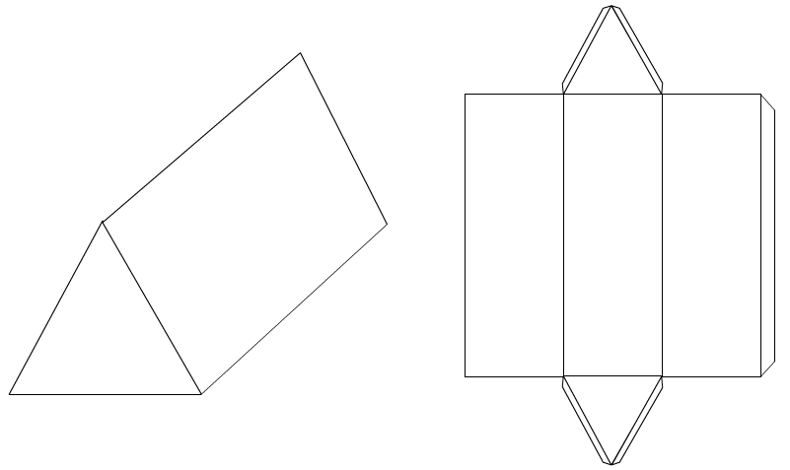 Triangular prisms stack very tightly together, as shown in the diagram below. 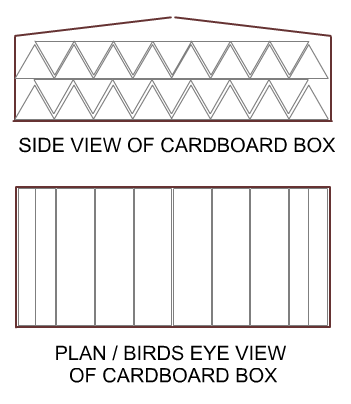 The triangles almost interlock producing a strong structure when placed in a cardboard box. When the cardboard box is full there is very little space left. This means that the triangular prism is an efficient shape. The development / net is relatively easy to manufacture.